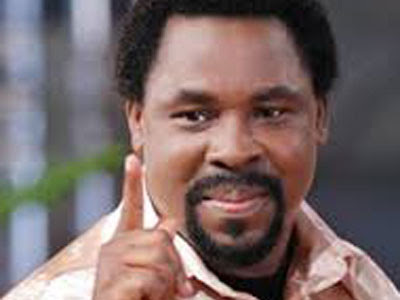 POPULAR Nigerian prophet, Temitope Balogun Joshua, commonly referred to as T.B. Joshua, predicted trouble for a southern African president between February and April this year. In a televised prophecy on January 3rd, 2016 to thousands of his congregants gathered at The Synagogue Church of All Nations (SCOAN) in Lagos, Nigeria, T.B. Joshua said prayer sessions needed to be arranged for the region’s leaders because of ‘peculiar’ challenges ahead. He said he would not reveal anything further regarding the problem about to befall a Southern African leader because the message was highly sensitive. However, the clear warning not to misquote him seemed to be ignored by the international press as headlines recently proclaimed how Malawian President, Peter Mutharika, alleged that T.B. Joshua prophesied he would die before April 1st, 2016. The paranoid Mutharika even scheduled to attend a night of prayer on April 1st because of the rumoured prophecy, recalling that in 2012, the controversial Nigerian preacher reportedly predicted the death of his brother. Bingu Mutharika, who was President at the time, died within the time frame predicted by Joshua, causing his fame to spread rapidly in Malawi. However, unfolding events point increasingly to the travails currently being experienced by South African President Jacob Zuma as the subject of T.B. Joshua’s prophecy. On March 31st, South Africa’s highest court ruled that Zuma violated the constitution when he failed to repay government money spent on his private home. Zuma is now being called on to step down by South Africa’s opposition parties as he is faced with the biggest controversy of his presidency. “It is very difficult to see how the ANC can continue to have President Zuma at the helm, following the stinging rebuke he received from the Constitutional Court,” wrote the BBC as speculations heighten that Zuma’s presidency may forcibly be cut short. “It’s very likely that TB Joshua’s prophecy was about Jacob Zuma and not the other two we thought,” wrote Max Chunga on Facebook at the news of Zuma’s historic court ruling. VIDEO can be watched on this link here. This guy is no different from an astrologer. He states obvious facts by studying the news swirling around. As a precautionary tale most astrologers will tell you of a remedy tantamount to spelling out chances of an error in their reading (i.e. prayers will save the situation, etc.). So then when a Zuma constitutional debacle tumbles out all the cuckoo followers suddenly align the vague prediction with what they notice! All pundits have given out feelers on scenarios of the different leaders so far and one or more of those is imminent. Nothing special. How convenient for this false Prophet to say ‘southern African leader’!!! All we have to do is speculate from Angola, Zambia, Malawi, Zimbabwe, Botswana, Namibia, Mozambique, South Africa, Lesotho, Swaziland!!! Wow!! Honestly, I dont have patience for fake people trying to prophesy in the Name of the Lord. Mr TB Joshua, your Judgement will be severe. The Apostles spent their lives and efforts preaching Christ Crucified and how to escape the coming Judgement of the human race. They also spent a lot of time warning us of such Anti-Christs whose god is their belly. You, on the other hand, are spending your time with fake predictions to make money!!! Your hypnosis, magic, witchcraft and fake demon inspired dreams and revelations will one day be exposed. Stop deceiving people. The GOOD NEWS, ‘Mr Intelligent’ is that spiritual matters cannot be intellectualized.God speaks,and HE can use anyone.My own testimony is enough for me to believe that Prophet T B Joshua is indeed God’s Prophet. Be carefull of what you say about God’s prophets. God himself is watching and listening yo everything that we are saying. In my mind I do not think that there is a man who can be brave enough to lie using God’s name to the whole World. Anyway even Jesus himself was denied by others. They said he is lying. I believe that TB Joshua is a true man of God. May God Bless him. When prophecy has been said……the wise listen!! Lets all lift our heads and c wats coming b4 us. Who so ever oppointed by him will always do his work. Dont waste time in acusing TB. Joshua of killing any one in this plannet earth.